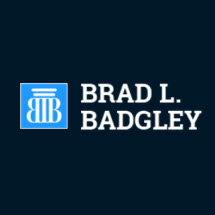 At Brad L. Badgley, P.C., I help clients address a wide variety of personal injury issues including car accidents, premises liability, products liability, workplace injuries and wrongful death claims brought on behalf of a loved one. After an accident, I understand that you will face numerous challenges ─ physically, mentally and financially. As your lawyer, I am here to advocate for your legal rights, help ensure that you are treated fairly by the insurance company, and to obtain fair compensation for your injuries. There are many reasons why clients chose to work with my Belleville, Illinois, law firm. I have more than 30 years of legal experience and have spent my entire career helping protect the rights of countless individuals. Some of my past successes include a 2005 wrongful death settlement, which at the time was the largest settlement of its kind ever awarded in Monroe County. I was also recently co-counsel in Jentz and Schmidt vs. ConAgra, et al., and helped my clients obtain a $110 million trial verdict after they were seriously injured in a grain elevator explosion. While each case will produce different results, I am just as committed to maximizing your settlement or verdict award, regardless of the unique circumstances you may face. My law firm is also known for the high level of attention given to each client. As the owner of a smaller firm, I am able to limit the number of cases that I take at any given time so that each matter can receive my full attention when it needs. I am always happy to take your phone calls when you need to discuss your case and prompt to respond if not immediately available. I take my legal responsibility very seriously and have earned the respect of both clients and the legal community alike. In 2012, I was selected for inclusion to the Illinois list of Super Lawyers and hold an AV Preeminent* rating from Martindale-Hubbell. I invite you to contact my law firm to discuss your personal injury, workers' compensation or wrongful death claim. I offer free initial consultations and take all cases on a contingency basis.